The 12-member strong Tedeschi Trucks Band carries a distinguished reputation as one of the premier live bands performing today. Embracing improvisation over convention, and rarely repeating a set list, the genre-defying collective have seemingly endless potential to explore any musical territory-from their own catalog of Grammy-winning originals to Sly & the Family Stone, Miles Davis, George Jones, Joe Cocker or Nina Simone. Trucks’ masterful guitar skills and Tedeschi’s soaring vocals and bluesy guitar shine but don’t overpower the breadth of world class musicianship on stage, a testament to the genuine respect within TTB’s ranks. The band’s latest concert film/audio release Live From The Fox Oakland, nominated for a 2018 Grammy, makes it clear that Trucks and Tedeschi have no intention of slowing down now. “I haven’t found this band’s ceiling yet,” says Trucks in the film. 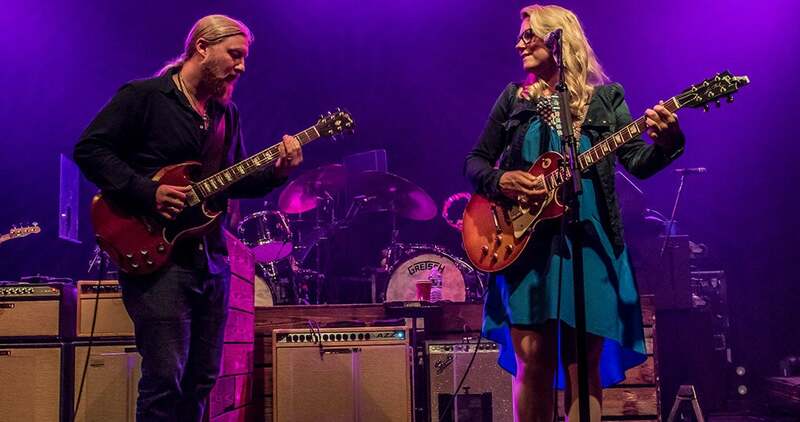 For Tedeschi Trucks Band, there may not be one.Celebrating in 2019 its 10th year as a group, the band is preparing the launch of a fourth studio album is set for an early 2019 release. Every ticket purchased for this show includes a digital download of Tedeschi Trucks Band's forthcoming album. You will receive an email with more details about this offer approximately 7 days after your purchase.